We are the Premier Kawasaki Dealer. 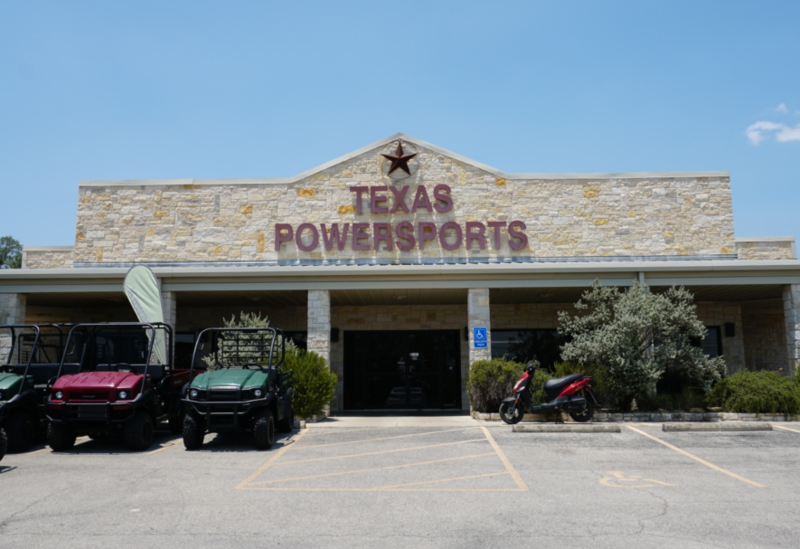 In April 2003, Texas PowerSports, a full-line Kawasaki dealership owned and operated by Beth and Glenn Smith opened its doors to the Texas Hill Country. Located at 13220 Highway 290 West in Austin, just 7 miles west of the “Y” in Oak Hill, the couple took great strides to ensure quality in every aspect of their business; from the beautiful newly constructed facility that carries the Texas Hill Country motif throughout the store to the experienced and enthusiastic staff and of course, the leading edge Kawasaki products.